Several conflicting theories currently describe the peopling of Americas, of which two are vastly more plausible than the others, according to new research published last week in Science Advances. 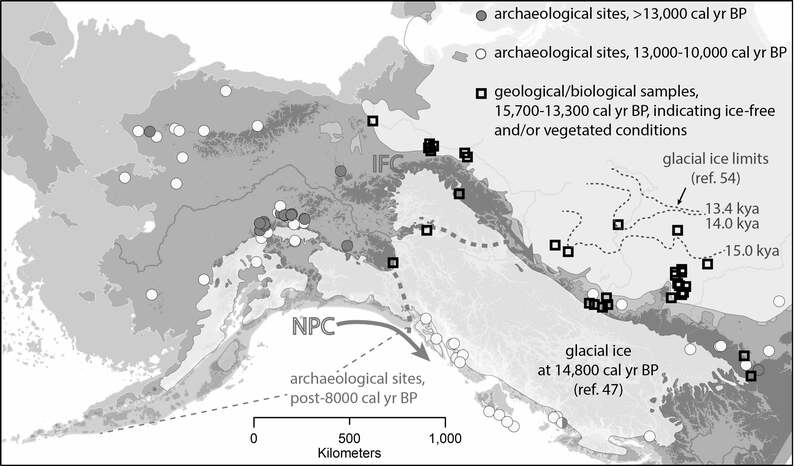 These two theories include the conventionally argued, but often maligned, Ice Free Corridor route, in which the first migrants crossed over from Beringia into the interior of Alaska, and then into the high plains of North America by venturing through two massive ice sheets around 15,500 to 13,500 years ago. The other is a newer hypothesis known as the North Pacific Coast route, also called the Kelp Highway Hypothesis, in which America’s first settlers arrived by hugging the coastline along southern Beringia and North America’s west coast, no earlier than about 17,000 years ago. Alia Lesnek, a PhD candidate in the Department of Geology at the University at Buffalo who wasn’t involved in the new study, said the new paper provides a balanced analysis of the current ideas about how humans first colonised the Americas.